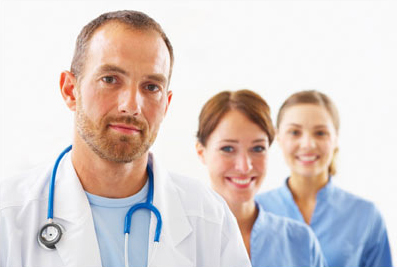 Need help with Dragon® Medical Practice Edition? LIVE CHAT : Get connected with a reseller! What is a Nuance PowerMic II ? The PowerMic II is a handheld microphone that will enhance physician productivity by providing ergonomic control of both standard dictation and speech recognition functions. The PowerMic II specially designed with your needs in mind, by Nuance (formerly Dictaphone), the makers of Dragon® Medical software, is the ultimate companion device for Dragon Medical Practice Edition 2. Dictation becomes effortless! The PowerMic II has simplified thumb-control for dictating, navigation and reviewing and editing speech-generated documents. Manage voice recordings, navigate and select fields in standard reports and templates that allow you to move throughout familiar text documents available for review and edit. Significant features, such as the Transcribe button, recognize speech or send dictation to a transcriptionist automatically when physician self-completion is not in use. Physicians navigate their PC using the built-in Microsoft compatible mouse trackball. This intuitive feature allows you to easily navigate your PC, locate documents, open templates, standard reports, text reports, macros and more for on-screen dictation. Once you have found what you’re looking for, you can then dictate and send your dictation using a single device. No need for a keyboard! The superior quality construction of the PowerMic II delivers improved performance in the demanding medical environment where reliable functionality and resilient features are vital. Industrial Quality for Professional Medical use. The high quality construction of the PowerMic II is intended to deliver superior performance in a demanding medical environment where resilient features and reliable functionality are imperative. There are many Nuance approved devices for use with Dragon Medical Practice Edition 2; however, none of these devices performs the specialized functions offered in the PowerMic II. Leveraging its capabilities the PowerMic II will take productivity to its highest level as the only microphone to be fully integrated with Dragon Medical Practice Edition 2. All others require third party installation. The evolving technology of the PowerMic II is taking physician dictation to a new level. Physicians now have the power to invoke custom templates by voice. Simply put the PowerMic II does it all! The PowerMic II is the only device that can be configured within Dragon Medical Practice Edition software. Customizing your PowerMic II takes just one click! The Nuance PowerMic II is designed with the user in mind. Focusing on productivity, user friendliness, and complete recognition when paired with Dragon Medical Practice Edition 2, users of the Nuance PowerMic II love that they have absolute control with this product and are released from having to switch between the keyboard, mouse and dictation headset or microphone. Valued by physicians and caregivers alike, this microphone is pre-integrated with Dragon Medical Practice Edition 2 and is designed for use with EMR/EHR software. Your time is maximized when you employ the features of the Nuance PowerMic II. Dictating more easily and quickly increases productivity. You control voice recording, navigate and select fields in on-screen templates and reports and include the ability to maneuver through recognized text reports for review and editing The Nuance PowerMic II interfaces easily with any laptop, tablet, or desktop PC having an available USB port. 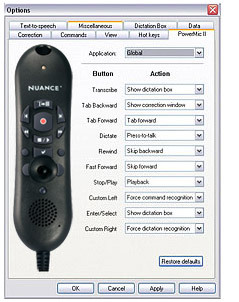 The Nuance PowerMic II is guaranteed to increase your speech to text efficiency and productivity ratios.